Make your own up-cycled cherry pitter! Only 4 everyday household items needed! In our house, nothing says summer quite like cherry pie. 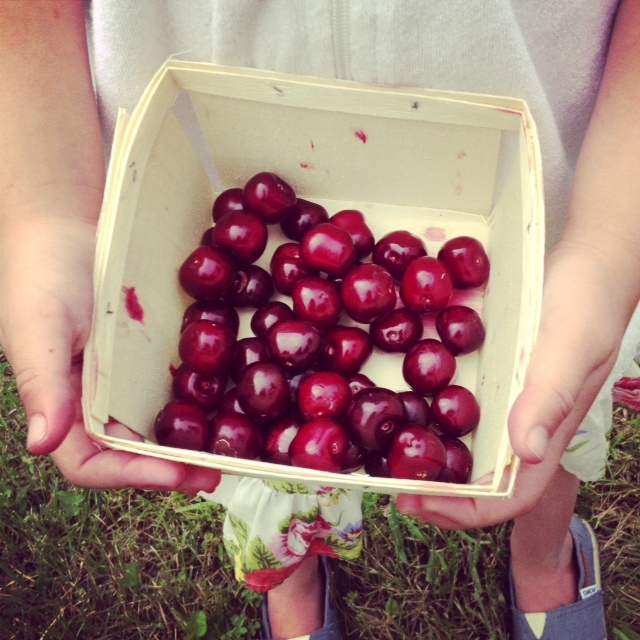 Even better than cherry pie, though, there’s something extra special about running down the hill at your grandparent’s house, picking cherries, bringing them home, pitting them and making them into pie. This, friends, is one of the things we treasure most. 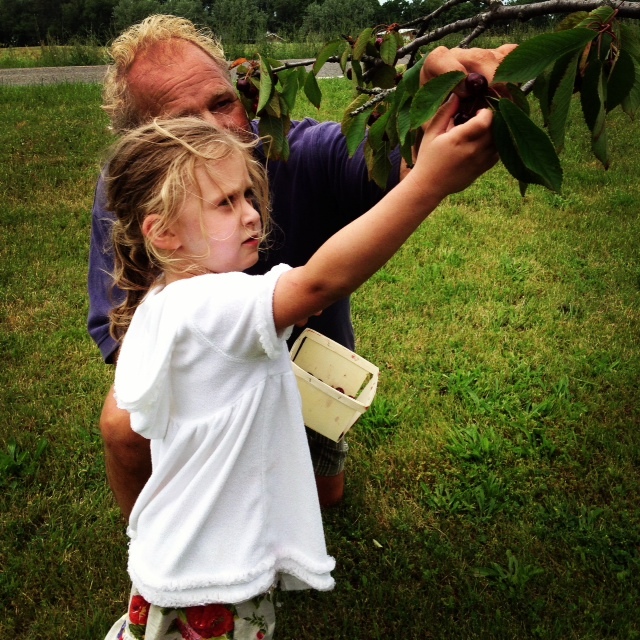 Teaching our daughter where her food comes from, why it tastes (so) good, and how she can celebrate in even the smallest of things–like successfully pitting the cherries she just picked. This DIY for an up-cycled cherry pitter came to me out of necessity, as we wanted to make pie–and needed to get rid of the pits. I hope your family will find it as helpful and easy to use as we did. 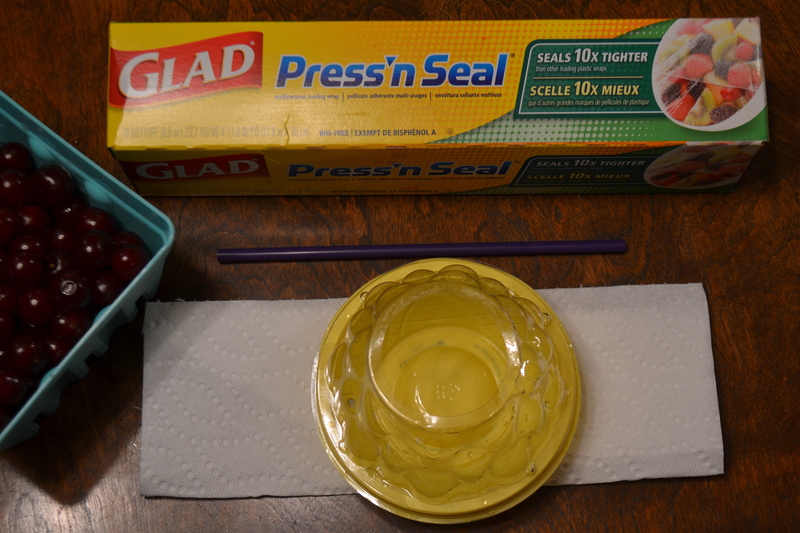 I will give you an insider’s tip: as the day progressed, I did double layer the press-n-seal. The ‘pitter’ lasted much longer between breakthroughs that way. All in all, It is the littlest things, like a still-warm-from-the-oven slice of cherry pie with a generous scoop of vanilla ice cream, that restores your hope in giving your kids a better tomorrow than today. Previous Post Help the Hungry Kid!